A media release by the company said that the entire company was saddened and outraged by the incident. Reliance Foundation extended their support for the bereaved families of the CRPF jawans who died in the tragic explosion in Pulwama in Jammu and Kashmir on February 14, Thursday. "The entire Reliance Parivar fully shares the outrage of 1.3 billion Indians at the barbaric terrorist attack on a CRPF convoy on the Jammu–Srinagar highway on Thursday, in which 40 brave jawans were martyred," the release read. They added, "No evil power in this world can break India's unity or our resolve to defeat terrorism, which is an enemy of humanity. Our hearts go out to the bereaved members of the martyrs' families. The nation will never forget the Bravehearts and their sacrifice. 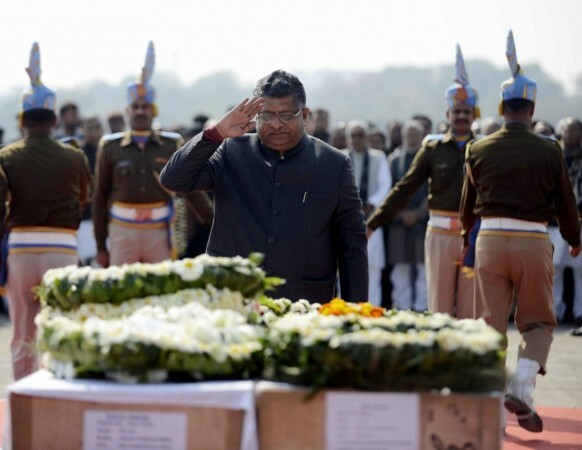 We pray for the recovery of the injured jawans." The Foundation also said that they will fully support the children whose fathers were brutally taken away from them. This includes providing education as well as employment for them. Their hospital is also said to be ready to take in any of the injured jawans and provide treatment. They then said, "We shall also deem it to be our duty to shoulder any other responsibility the government may place upon us in service to our beloved Armed Forces."